On September 4, 2013, Our president, Qiao Jianyong met Paul Friedel, the president of Telecom Bretagne in France. Xin Lingling, Assistant to the President and Director of General Office , Ren Chunxia, Director of International Office, also participated the meeting. 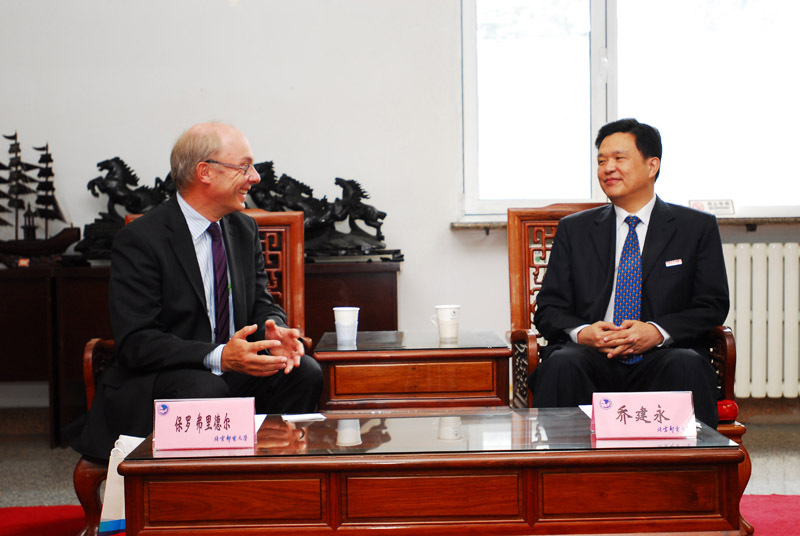 President Qiao expressed his warm welcome to president Friedel. Then, President Qiao briefly introduced him our university’s professional features, academic structure and the development of future orientation . He also looked forward to enhancing the academic partnership between BUPT and Telecom Bretagne in the future. Afterward, President Friedel introduced general information about Telecom Bretagne and invited our professors to France. 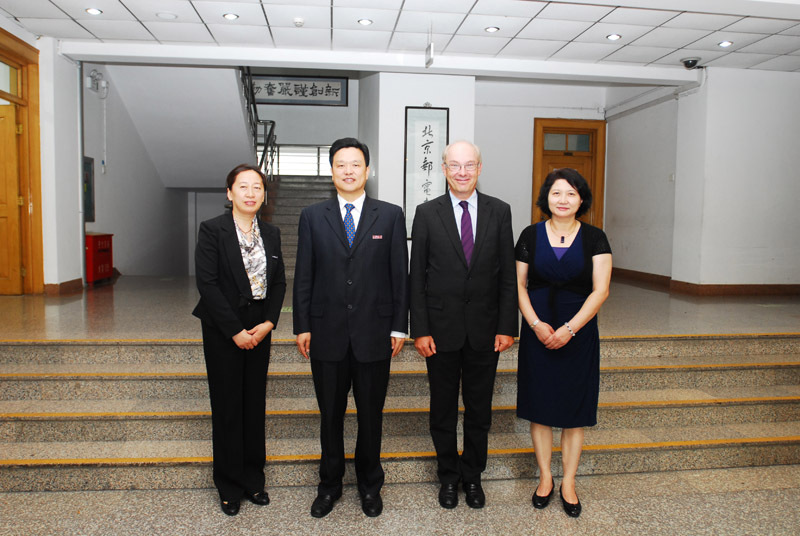 President Qiao and President Friedel both agreed to increasing cooperation between two university in the field of teaching and research. After the meeting, President Friedel visited the State Key Laboratory of Information Photonics and Optical Communications. Founded in 1977, Telecom Bretagne is one of the most prestigious graduate engineering schools ("Grandes Ecoles") in France. Since 2002. BUPT has not only establishing a cooperative relationship, but also sent almost 50 graduated student to Telecom Bretagne.